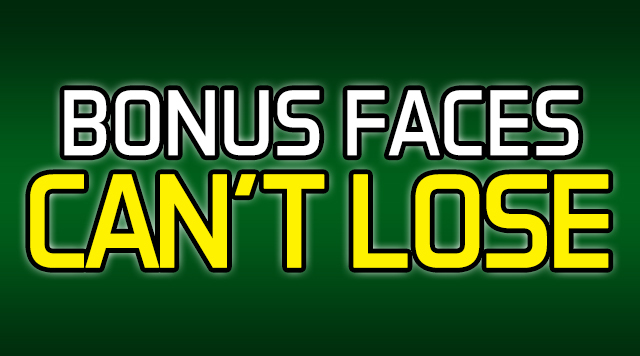 Poker Room The IP Poker Room will run a Bonus Faces Can’t Lose promotion. Promotion will run on Thursdays, April 4 - 25, 2019 from 7:00am - 11:00pm. When a player is dealt pocket Jacks, Queens or Kings (JJ, QQ, KK as their hole cards) and WINS, the player will receive $50. If the player LOSES the entire pot, including any side pot(s), they receive $100. If within the same hour a player LOSES TWICE, they receive $100 PLUS a spin of the Cash Wheel on the second loss. The hand must be played to the end to receive any award(s). All hands must be verified by the dealer and poker room supervisor. Player must receive the hand(s) in a jackpot eligible Hold’em Game. There is a $30 pot minimum. Maximum of 3 payouts per hour. 2 maximum payouts for the same table within the hour, one payout allowed during the first half hour. If there is no winner during the first half hour, two payouts will be allowed at the same table during the last half hour. If 2 players in the same hand have the same pocket pair, both players will be paid. The final payout of the hour will be determined by the first completed hand announced by the dealer. Discussion of the hand in progress and/or encouraging another player to call a bet to meet the pot minimum may disqualify the player for that promotional hand. Management reserves all rights. Cost for this promotion will be deducted from the Hold’em jackpot fund. Must be a member of B Connected Player’s Club and present a valid government issued i.d. to receive any award(s). Must be 21 years of age or older. Players must be swiped in via Bravo at the table prior to receiving a qualifying hand to be eligible for the promotion. The Mississippi Gaming Commission reserves the right to investigate any and all complaints and disputes regarding tournaments, promotions, and drawings. Such disputes and complaints will be resolved in accordance with the Mississippi Gaming Control Act and Mississippi Gaming Commission.